Language learning software is specifically designed to help users learn, increase their knowledge of, or maintain foreign language skills. Language learning software is used by companies and individuals across various industries to increase foreign language skills for job assistance, career advancement, or personal satisfaction. While individuals can utilize this software to increase their marketability, employers can also offer it as a benefit to help increase workforce knowledge. The use of language learning software can be mixed in with other products in the Education category to create a more cohesive learning experience for those studying a foreign language. Language Learning reviews by real, verified users. Find unbiased ratings on user satisfaction, features, and price based on the most reviews available anywhere. Our app personalizes the learning experience for you, adapting to how your memory works best, bringing up the words you need at the right time so it is more likely to stay in your long-term memory. Try it today and learn French, Spanish, German, Russian, and English – fast. - Adapts to your level in real time - Learn the most relevant and practical vocabulary (5,000+ words) - Real-world contexts in sentences created by language specialists - Context-aware grammar hints and exercises - Native-sounding virtual voice (Unlimited only) - Speech recognition for hands-free learning - Track and measure your progress - Cosmos – dark mode! Unlike other language software, eLanguage does much more than just help you memorize words - eLanguage wants to get you speaking as quickly as possible - and for less. Yabla's Smart Subtitle Technology Helps You Learn Faster. Dual-language, interactive subtitles and playback controls immerse you in authentic video including TV shows, music, interviews, documentaries, lessons, and more. Learn from the best teachers—native speakers using their language in everyday situations. Fluenz ambition is to make the best interactive programs to learn languages. We keep working on it. Be Fluent. 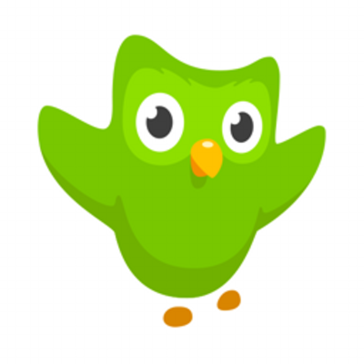 Learn a language offers hundreds of free language-learning lessons, games, and activities. busuu helps companies to improve their customer service and internal communication through making language learning easy and fun. busuu offers a language learning solution for businesses through its award-winning interactive app. It combines proven educational methodologies across vocabulary, grammar and conversational skills training, and connects your employees directly with native speakers to provide meaningful skills practice in a real-world context. Chatterbug building a new way to help you master language skills through adaptive courses. Dialog Nibelung is a multimedia Language Lab is designed to effectively use class time for engaging lessons with the latest multimedia teaching content. Earworms MBT is based on the science behind catchy songs that stick in the head: the music acts as a catalyst for the memorization of words and anchors the new vocabulary deep in the long term memory. Each course comes with an integrated phrase-book that contains all the words and phrases spoken, plus the phonetic sounds of the word. Edusoft Ltd., is a subsidiary of ETS, the world's largest private educational assessment and research organization, and the markets of the TOEFL® and TOEIC® tests. Hello7 app enables users to learn new English words every day with fun GIFs. Corporate language training with Lingoda boosts confidence, increases retention rates, and enables your staff to deliver more value to the business. Linguaplex is an online platform that connects ESL instructors and learners around the world with powerful and intuitive tools to collaborate. Solid neural science combines with cutting-edge technologies to get you talking new languages faster than anyone else. 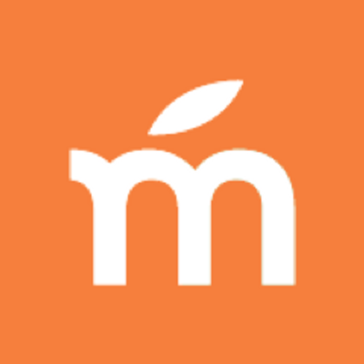 Mondly allows you to learn from any of our 33 languages. Why Use Language Learning Software? Who Uses Language Learning Software? Language learning software has made learning and maintaining foreign language skills easier than ever before. Solutions in this category employ various methodologies to teach and reinforce vocabulary, grammar, and syntax. The software continues to evolve and provide more immersive learning experiences for students. There are many different reasons to use language learning solutions in a business capacity, ranging from career development opportunities to personal growth. People use the software to increase their level of knowledge of a foreign language, brush up on existing knowledge, or start from scratch in their attempt to learn languages. Learning a language affords individuals all sorts of opportunities. You can conduct business in a another country, forge deeper connections with foreigners, and travel more easily. Despite the variety of translation apps out there, face-to-face communication is always going to be a useful tool and likely the best option for communicating with non-English speakers until natural language processing (NLP) technology improves vastly. There is a significant barrier to fluid conversation between people using a translation application. If you don’t actually speak the language, it is difficult to build legitimate connections with people. Every language has quirks, and it’s difficult to pick up on nuanced meanings specific to a language if you’re relying on a translator or a translation application. Language learning is beneficial for people not just because they’re able to speak a new language, but because it expands the mind and the capacity for learning. Professionally speaking, learning to read, write, and speak in another language can open up a wealth of professional opportunities in foreign countries that would otherwise be closed. Language learning software makes it much easier for users to learn a new language by providing a learning structure that fosters continuous learning and development. Learning a language is a difficult undertaking; language learning solutions help users accomplish their ultimate goal more easily. There are a variety of benefits associated with language learning software. Self-directed learning – One of the major benefits of language learning apps is that they are self-directed. The student is entirely in control of their own learning experience. This is a distinct departure from traditional language programs, which require a teacher helming the class and directing all learning-related activities. Students are not limited to a specific time slot that may be ill-suited to their learning preferences, and can hop on the program to continue learning whenever they’d like. If they want more practice on some days than others, they can get it. Low-cost services — A language learning software program is typically much cheaper than a traditional language learning class, which requires a teacher, classroom, and all the overhead associated with a traditional learning environment. Lower barriers to entry are particularly important for individual learners, who may not have access to the amount of disposable funds that companies do. Variety of activities – While some solutions in the space offer only one type of learning, others focus equally on reading, writing, speaking, and listening. All skills are crucial to developing well-rounded comprehension of a foreign language, and language learning software can hit on all areas. Learners can focus more on activities that they know help them retain information best, as opposed to relying on a teacher that must find middle ground when it comes to choosing activities that help certain students more than others. The user base of language learning software is quite varied, as there are so many different reasons to learn another language. All told, there are three major groups of language learning software users: governments, businesses, and individuals. Governments – Governments use language learning software to educate diplomats and those serving in foreign posts so they are able to operate effectively in the given country without the use of a translator. In addition, military officials may be given language training to improve their effectiveness on the ground. Businesses – Businesses operating internationally make use of language learning software to educate their workers on the language they will be using in a given country. Businesses may do this on a larger scale to ease their expansion into a specific country, or train individual employees who will be traveling and conducting business on behalf of the company. Individuals – Individuals use language learning software for a variety of reasons. Someone headed to South America, for instance, will likely want to learn at least rudimentary Spanish to ease their transition to the continent and open up opportunities to communicate with native speakers. Individuals may also use the software for personal development and the sense of personal accomplishment they get from learning a language. Cloud-based learning – The vast majority of language learning software today is cloud-based and optimized for mobile, meaning you can learn anytime and anywhere. Mobile app – This feature goes hand-in-hand with the fact that most applications are cloud-based. Mobile applications have allowed learners to focus on their studies wherever they happen to be. Gamification – Language learning can be a tedious process, during which learners encounter many difficulties. Gamifying the entire process can engage them and give the learner incentive to learn consistently by providing badges and virtual rewards for completing modules. Spaced repetition — Spaced repetition is a teaching philosophy built in to many language learning applications. The concept revolves around introducing vocabulary to students and then reinforcing that vocabulary at various intervals throughout the length of the course, to solidify comprehension and retention in the student’s mind. Authentic material – Certain applications feature listening comprehension-based lessons, which are centered around conversations between two native speakers. Virtual tutor – A newer feature of language learning software is the virtual tutor. If students are struggling with the material, they can ask a virtual tutor that is powered by artificial intelligence. The virtual tutor should be able to answer their questions and give them the opportunity to hammer home their comprehension of the material. Speaking exercises – With the advent of natural language processing, language learning applications are able to understand human speech and translate it to text. This allows the application to judge whether the student has said the required line of text correctly. Apps can focus on phrases or full sentences depending on the content of specific lessons. Listening exercises – Most language learning apps have audio exercises within the program. The learner will listen to an audio excerpt of phrases spoken by a native speaker and answer questions based off of the excerpt. Progress tracking – Language learning software often includes progress tracking functionality so that learners have an accurate picture of how much they’ve learned and the units to come. Gated content – Some language learning software contains gated content, meaning the student must complete certain lessons to then unlock more advanced content. This ensures that students do not jump directly into later units, which may cause them to get frustrated. Language learning philosophies — There are several teaching philosophies upon which different language learning software is based. Each philosophy shapes the features the software offers, as well as the structure of the included lessons. Declarative foundation – A declarative foundation approach involves building up the student’s knowledge of vocabulary and common phrases. From there, the lessons focus on using that vocabulary within the grammatical structures of the given language. A full range of learning activities is then deployed to reinforce those structures, which include audio lessons and language learning games. This technique is utilized by the solution provider Transparent, and is commonly the approach taken by government organizations teaching their employees a foreign language. Audio-based – An entirely audio-based structure is championed by the NSA and FBI and involves very specific audio sequences designed to impart the greatest impact in the shortest amount of time. Audio lessons also function as the jumping-off point for other activities designed to reinforce the vocabulary and grammatical structures introduced in those lessons. Dynamic immersion – This concept is trademarked by Rosetta Stone, and is based on association. Learners begin by being shown pictures and are pushed to associate those pictures with vocabulary words. 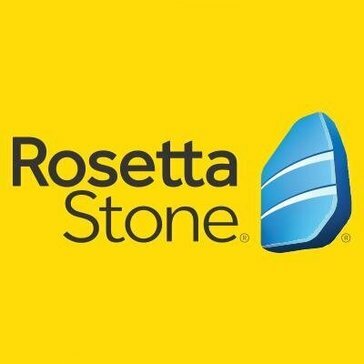 Language learning solutions came about with the advent of Rosetta Stone, which is still synonymous with language learning software. Since the genesis of the industry, however, things have changed and continue to evolve. Increased mobile usage — As people spend more time on their phones than ever before, language learning application vendors are focusing more on optimizing their software for mobile use. These solutions are often available on both Android and iOS. Natural language processing (NLP) and machine learning (ML) — As artificial intelligence technology becomes more developed and effective, language learning software is taking advantage and implementing it in more creative ways. For example, certain solutions leverage machine learning and natural language processing to figure out which sentences to put in a given lesson, based on a user’s past performance and demonstrated weaknesses. This means that the app is constantly improving its ability to teach and provide learning material that will legitimately help you learn. Personalized learning — Language learning applications, like other areas of the education software space, are offering personalized learning features for users. The personalization relies on artificial intelligence capability, which takes data gathered from the learner’s activity and performance within the app and provides either suggestions on what to work on or material based on the data. This ensures that each learner is getting an optimized learning experience with the best chance to secure comprehension. There are several possible issues inherent to language learning software. The first potential issue is also a benefit: the fact that language learning solutions are self-directed. This requires the student to have at least a modicum of self-discipline to advance in the course and actually retain information. In a live learning environment, students must maintain the facade of paying attention to the material. Lack of live speaking practice – While most language learning applications have speaking features, there is no replacement for the corrections issued by a native speaker. Native speakers also speak differently, with unique inflection, when they speak in a natural rhythm. Syllables get dropped, words cut off, and the entire feel of a sentence changes when a native speaker talks. Lack of listening comprehension practice – Listening comprehension is quite a bit more difficult to gain proficiency in than writing and reading a foreign language. Without immersion, or at least exposure to native speakers talking among themselves, true comprehension is difficult to come by. Most of the language learning applications are structured around learning grammar, reading, and writing. While nearly all incorporate listening comprehension and speaking to some degree, the technology is not yet at a level that would allow it to successfully imitate the speech patterns of a native speaker. Teachers can correct pronunciation and grammar related errors more effectively and to a greater degree than an app, at least at the time of this writing. There are a variety of types of education software that can be used in conjunction with language learning applications to provide a more immersive experience for users, although it is often used as a standalone solution. Students can use an learning management system (LMS) to track their progress and ensure that they are indeed improving consistently. Language learning software is often used as a standalone solution, but can be used as a learning supplement within a traditional language learning class. Hi there! Can I help you find the best Language Learning solutions?